Jerez, or more fully Jerez de la Frontera, is a beautiful city in the Cadiz province of Andalucia in south western Spain. Frontera refers to its Spanish frontier location, right on the border between the Christian and Moorish regions. 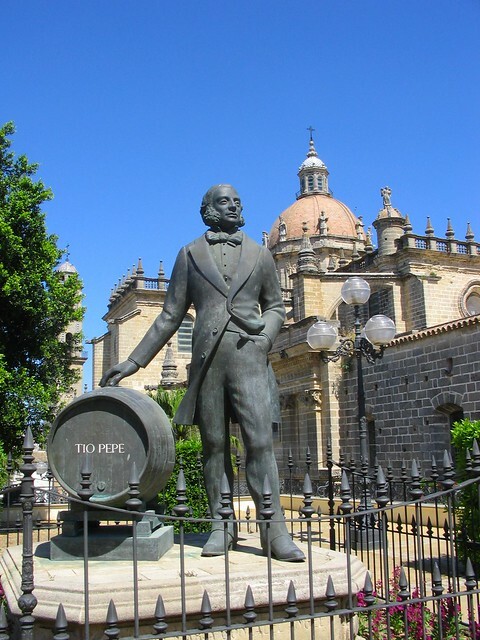 Jerez de la Frontera has a typical Mediterranean climate with mild, wet winters and dry, hot summers. Jerez’s history ranges from the upper Neolithic period (around 3000 BC) when habitated by the Tartessians, through Roman occupation when the city was called Asta Regia, then being ruled by the Vandals and Visigoths, occupied by Arabs (around 711AD) and Muslim rule that started in 1231. The Castilian Spaniards defeated the Emir ‘s troops in the famous 1264 Battle of Jerez and Granada’s 1492 conquest made Jerez the crown jewel of Andalusia. Today, Jerez is the the largest city in the province of Cadiz, even more important than the city of Cadiz for the local economy. Jerez is built amongst vast fertile lands and is best known for horse-breeding and wine. Jerez with its very rich historical heritage and association with horses and flamenco, boasts extremely popular year-round festivals. The Easter week celebrations and the remarkable May Horse Fair are particularly brilliant. Places worth visiting are the Archaeological and Atalaya Watch (“Palace of Time”). museums, the old medieval quarter, the 11th century Moorish fortress of Alcazar, the architecturally amazing Cathedral, the Churches of San Miguel, (Gothic style) San Mateo and San Juan de los Caballeros (built to celebrate the1264 Alfonso X conquest of the city). The Palacio Duque de Abrantes, the Charterhouse (a monastery and possibly the most important religious building in the province) and the 1575 Renaissance Town Hall are also of particular interest. Day trips from Jerez are strongly recommended, particularly if you have a hire car so you can do circular journeys. There is also an excellent train and bus service. The main recommended trips are to Cadiz and Seville, with several noteworthy stops in between. En route to Cadiz, visit El Puerto de Santa Maria on the banks of the River Guadalete, enjoy views of the Bay, drop into the Osborne Bodega.and the bullring, then head for the lovely beaches. San Fernando with its long sea faring and flamenco tradition also has a wonderful observatory. A narrow strip of land connecting Cádiz with the mainland permits views of the ocean on one side and great inland tidal lakes on the other. 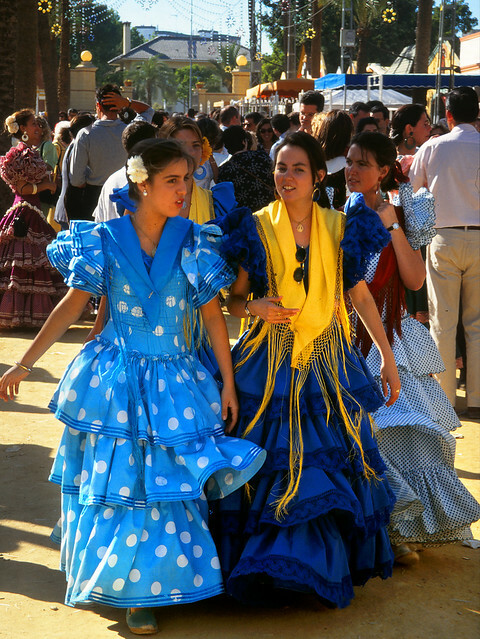 Flamenco fans should concentrate on San Fernando and Cádiz., whilst wine lovers should head for the “sherry triangle”, particularly to El Puerto de Santa Maria and Sanlucar.